Where have all of the "customer first" heroes gone? 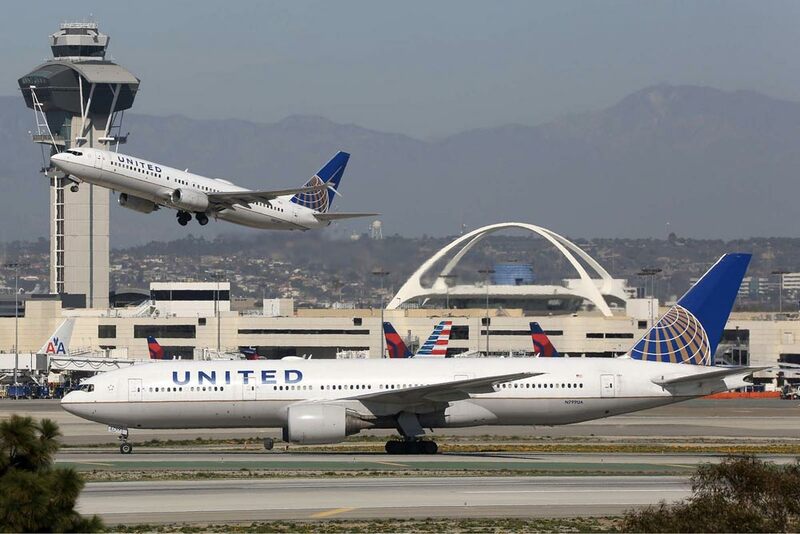 LOS ANGELES – FEBRUARY 22: United Airlines airplanes on February 22 2016 in Los Angeles. United Airlines is an American airline headquartered in Chicago. Years ago, I worked on the in-house communications/public relations team for Nordstrom at their Seattle headquarters. One of the things that Nordstrom was known for at the time was their truly legendary customer service. Those were the days of stories like, “Nordstrom loves its customers so much that they will accept any returns, no questions asked — even snow tires!” Of course, Nordstrom doesn’t sell snow tires, but that famous return did actually happen several years ago at their store in Anchorage, Alaska. Every employee at Nordstrom from the most entry-level clerks to the most senior executives were empowered to put the customer first in all decisions. It was a policy that profited the company greatly and polished their brand reputation until it sparkled for many years … until other issues started to bring down the great fashion retailer. But that topic is for another day. Today, my rant is about: Where have all of the “customer first” brand heroes gone? Starbucks is making good progress in this area due to the great work of my former WE colleague Corey duBrowa, now SVP of Global Communications at Starbucks, and the rest of the Starbucks team. But, today I have another company on my mind. United Airlines. No one can escape the onslaught of negative coverage, social media slams, witty/scathing slogans, memes and non-stop commentary about this airline that is losing altitude … fast. I’d like to offer United Airlines’ corp comms team some well-intentioned advice that they may or may not already be thinking about. I hope that they don’t mind this armchair quarterbacking on my part. I’m just so fired up about this situation (and I really feel your pain, guys) that I just have to say something. I’ve dealt with some crazy crisis situations over the years, but nothing like this. 1. United Airlines’ leadership team must acknowledge that the company has a widespread fundamental disconnect regarding customer service throughout every level of the organization. That said, given the blowback so far, I’ve got to believe that CEO Oscar Munoz is now definitely onboard with taking a proactive approach to solving this problem as quickly as possible. If he is still resisting counsel then United Airlines has an even bigger problem and I wish the comms team the best of luck with that. But, I believe that Mr. Munoz is smart enough to know that he needs to listen to advice and lead United Airlines out of this mess by sticking to a “customer first” and “just do what you know is the right/moral thing to do” standard operating procedure. That should be SOP 101 in times of crisis like this. Also, while people around the world are calling for the United Airlines’ board of directors to fire the CEO over this, I don’t think that is the right move since he is relatively new to his role since being named president and CEO of United Airlines in September 2015. He may have not yet been able to make all of the changes that he wants/needs at the organization to improve its flight pattern. That kind of distraction and disruption over a CEO change at such a large company is to helpful during a time of crisis … unless the CEO is part of the problem. I have never met him but if CEO Munoz is a strong leader, “gets it” and has hero potential he should be supported. If not, another leader should be brought in. This is the time for Mr. Munoz to make some bold moves and man-up. He actually has the opportunity now to set a heroic course for this company’s future. I hope that he does. It will take a tremendous amount of work and courage but the results could be transformational. By focusing on customers now, he will ultimately maximize profits for his shareholders in the future. But, by only focusing on maximizing profits now at the expense of customer service will totally jeopardize the airline’s future success. 2. CEO Munoz should empower all employees at every level to “put the customer first” in all interactions and empower them to make smart decisions about how to support the “customer first” goal. 3. Establish and clearly articulate a new era of customer service for the company. This new vision and “sense of purpose” about customer service must be so well described and engrained that employees have no hesitation when making decisions on the fly. Sure you can roll out a company-wide memo but this needs to be more than that. Everyone must live and breathe this total customer service mentality for all customers (external or internal). That means the executive suite too. No exceptions. 4. To roll this out, get professional leadership and change management experts to assist with this employee transformation work. We work with some great groups who do this and they’re probably calling United Airlines now. 5. For the external comm team, it’s time to re-group and establish new ground rules with the execs. No execs or management should be making any public comments without being fully vetted by the comm team and all company statements litmus tested against the “customer first” policy. Also, you guys need to tighten up your “one voice” policy or get a clue if you don’t have one. Why did the public statement apologizing for the actions of employees and the leaked employee memo supporting the employees’ actions directly contradict each other? Hello! All communications should be considered public. Everything will be leaked. Always. In fact, it is good to be transparent and authentic in a time of crisis if you are truly working hard to do the right thing. And, a little common sense reality check wouldn’t hurt either. For example, why the heck didn’t someone just charter a small airplane to fly those flight attendants and pilots to their next flight hub? Of course, they couldn’t drive or fly themselves since safety rules require that the crew be well rested before a flight. A chartered flight would been a comparatively inexpensive option compared to what may turn out to be a multimillion dollar loss of business and devastating brand equity hit for the airlines due to this PR fiasco.That should be one of the first lessons of “customer first” decision-making that employees will be encouraged to do going forward. I liked the decision that United Airlines made to put their money where their mouth was on the response, but somehow their apparently sincere mea cupa didn’t resonate with the public. Or, maybe it was just that the United Airlines’ long history of, well … being a “jerk” about customer service means that the public has LOST ALL TRUST IN THEIR BRAND. Yikes! So, no matter what they say, no one is going to believe anything that they say for a really, really long time. Their positive actions and focus on customer service wins will have to speak louder than words. The important thing is to be humble enough to ASK for feedback and engagement. It may be a very painful process but the more customers engage constructively in giving feedback, the more they will stay engaged in the outcome and hopefully that will be UA’s opportunity to win back their business. 7. Kick off a customer listening campaign (see above). 8. Make sure the company is walking the walk and talking the talk before making any lame announcements about customer service improvements. Only totally authentic customer service hero stories will do and they can’t be forced/manufactured. This is going to take TIME and patience. 9. CEO Oscar Munoz must give United Airlines’ comms team the time and space to work with the rest of the company’s “repair” teams and outside consultants to slowly help the company and its beleaguered brand heal from this event. This will take an investment of time, money and patience. 10. Oh, and quit overbooking your flights! Give your comm team a break here because if overbooking fiascos like this continue to happen then your PR team will be on a non-stop fire-fighting treadmill until United Airlines is permanently grounded by bankruptcy. Maybe this is United Airlines’ opportunity to emerge from the proverbial ashes of this mess and transform as a new kind of airline that REFUSES to overbook its flights. That seems to me to be one heck of a way to differentiate the company from the pack. Sure, there will be a financial short-term hit but over time customers may be willing to pay more for the peace of mind that comes from guaranteed flights and higher levels of customer service with authentic, real-time opportunities for customer feedback in a environment of constant improvement. One can only hope. That is my rant for the day. I could go on with more ideas but it’s time to get back to work. Thank you for listening. What do you think about the situation at United Airlines?